What with all these cocktails, I was getting tired of carrying bags of ice cubes from the store. So I bought an ice cube machine today: Logik L12IM14E. It’s not connected to the water mains, so it can be placed anywhere, but it’s on the kitchen counter for now. And it’s kinda noisy. I guess it’s a compressor and a fan in there, so the noise is quite nice and steady, but it’s still more than what you’d want to have around you in the kitchen for hours. 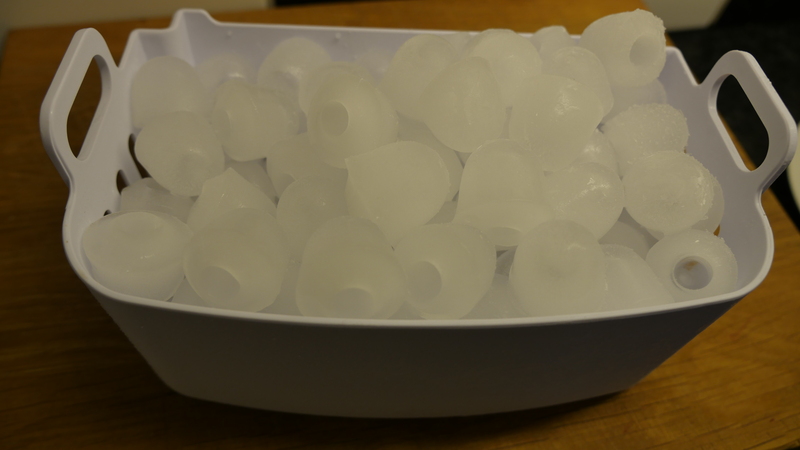 I think it took about an hour and a half to fill the basket with frozen… shapes. The ice cubes, as you can see, aren’t very cubic. And as you can see from the milky look, they’re full of air bubbles. 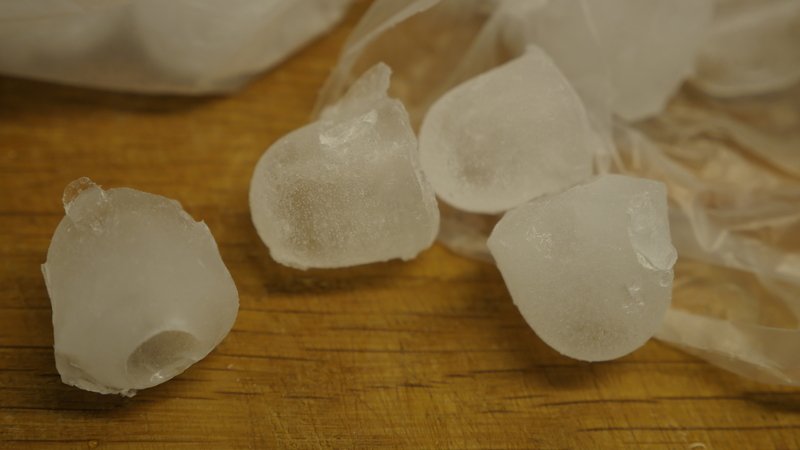 I popped the finished basket of ice… bullets… into the freezer, which made them even cloudier. And they froze into a solid block. I put the block into a plastic bag and bashed it against the cutting board a few (OK, many) times, and they came unstuck, and you can see the final result above. Not very impressive, but they taste OK. The amount of air bubbles means that they’ll melt faster, and break up more when shaking. you could try to heat up the water in a hot water kettle before filling the tank to get rid of air bubbles. I’ve now tried boiling some water and then letting it cool off before pouring into the machine. 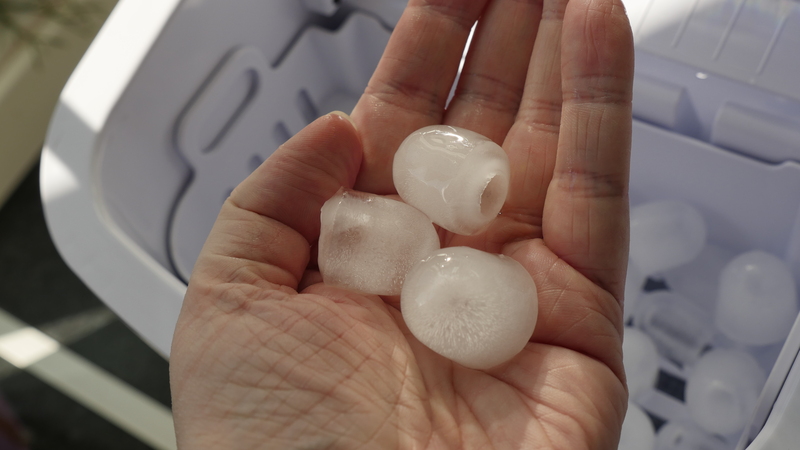 The first ice bullets that came out were clear, but very small (due to the luke warm water, presumably — the machine just freezes for a certain amount of time, so warmer water leads to smaller bullets). Later bullets were normal size but indistinguishable from the cold-water ones.